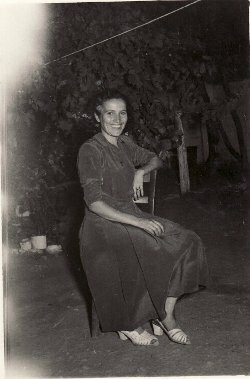 Eleni was born in Ayr, north Queensland, and her family returned to Greece in 1934, where they resided in Paleokipos. Above: Ayr, north Queensland. 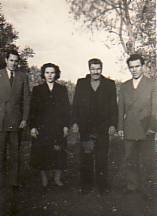 With my parents, Adrianna and Neoklis (they are left), and, Galatia and Georgios Mihailides- with their son, Achilleas. 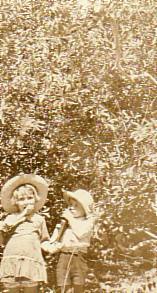 Above Right: As young children, with my brother, Kostantinos. Above: With my siblings, Efstratios, Calypso, Nikolaos and Kostantinos. I am holding my sister, Adrianna. Above Right: Paleokipos, Lesvos. 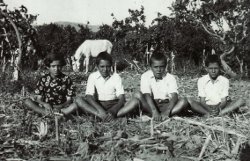 With my brothers, Estratios, Nikolaos and Konstantinos, on our farm. 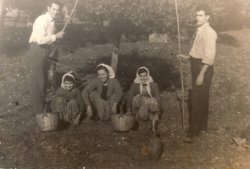 Above Right: Harvesting the olives trees on our farm. 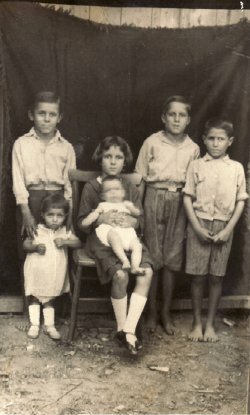 L-R: my brother, Efstratios; my sister, Amanthia; myself; my sister, Evdoxia; and Panagiotis Loutinos. 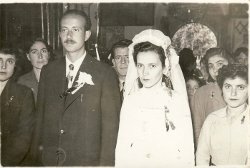 Above Right: On my wedding day, with my husband, Nikolaos.